An exciting blend of Las Vegas splendour and Italian luxury, the Bellagio is based upon a town surrounding Lake Como, one of Italy’s prime holiday destinations. 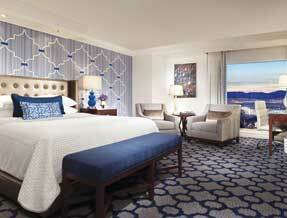 The award winning $1.6 billion mega-resort is Las Vegas at its biggest, boldest and most splendid. From the infamous Bellagio Water Show outside to the Mediterranean style interiors and one of the biggest casinos on The Strip, a trip to Las Vegas screams for a stay at the Bellagio. 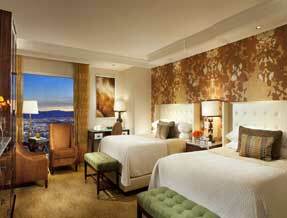 Staying at the Bellagio is ideal if you’re looking for a luxurious retreat in the very centre of the Las Vegas action. 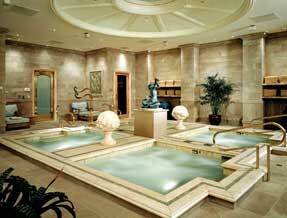 The rooms are large, comfortable and many offer outstanding views of the fountains, courtyards and pool areas. Each room offers a large TV, wireless internet, air-conditioning and fine bed linen, as well as wonderful bathrooms and stylish decor. 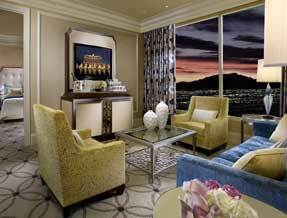 Whichever room you choose, you're sure to enjoy every luxury during your stay at the Bellagio. Rooms start with the 'Fountain View Queen Room' - which is anything but standard, and includes a marble foyer, twice daily housekeeping, a marble bath, DMX music, an in-room safe and luxurious linens and robes. Resort King Rooms allow additional space and comfort with all the standard amenities. This intimate suite is divided between a seperate sleeping and living area, and is tastefully decorated with art-themed interiors. Experience ultimate Las Vegas style with a stay in this exquisite suite offering one or two bedrooms complimented by luxurious decor, climate controls and mood lighting. Commissioning the world's most sought-after chefs, the ultimate culinary experience comes as standard at the Bellagio. 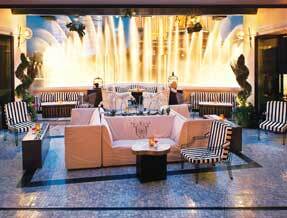 With sixteen restaurants to choose from, dining at the Bellagio Las Vegas offers you a world of choice. Whether you're looking for a quick bite to eat before heading off to see a show, or a celebratory meal with fine food and wine, you'll find it all at the Bellagio. There are also a number of bars where you can enjoy a signature cocktail or a cold beer! 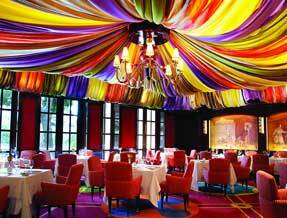 Le Cirque - AAA Five Diamond French cuisine. Picasso - World class wines and French and Spanish dishes are served alongside original Picasso paintings. Michael Mina - This Michelin star chef offers fine dining at his restaurant serving seafood and vegetarian. 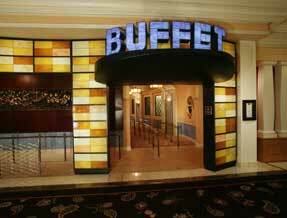 The Buffet - Fresh ingredients and an infusion of flavours from around the globe. Prime Steakhouse - Prime meats and seafood. Yellowtail - Great selection of Sushi. 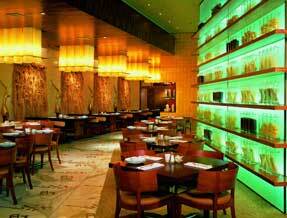 Noodles - Contemporary dining and traditional noodle dishes. 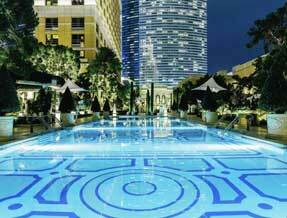 Hyde - Enjoy beats from some of the best DJs in the world as you overlook the fountains of Bellagio. Finish off the day dancing the night away at one of the resort’s glamorous bars – the Bellagio really does offer the full Las Vegas package. The Bellagio is considered a ‘mega-resort’ – and rightly so. With almost 4,000 rooms and more than 8,000 staff, this hotel displays the Las Vegas mind-set of big, bold and beautiful. The Bellagio is one of the iconic Las Vegas hotels – as seen in a number of Hollywood films – and you’re sure to receive five star treatment if you decide to stay within the resort. You could easily spend a day of your holiday exploring the hotel; it includes an art gallery – the Bellagio Gallery of Fine Art, a conservatory filled with plants and flower displays and a shopping arcade which would please even the most fanatic of shopaholics. 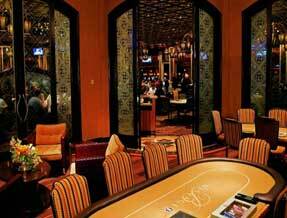 Of course, there’s also the 100,000 sqft casino to explore – it’s one of the best designed on The Strip, so make sure you check it out! If you’re worn out after all that exploring, book yourself in to the Bellagio Spa and Salon – offering luxurious treatments including caviar facials and the signature Deep Coconut Surrender massages, you’ll be pampered from head to toe. There’s also a Watsu pool, hydrotherapy, Meditation Room and a fitness centre to experience – plus spa packages for couples and ‘mother and daughters’. Bliss. There are five swimming pools to enjoy, deck areas in a Mediterranean feel and courtyards to wander through. Why not grade the Bellagio Mojito at the Pool bar, enjoy the Bellagio Water Show (a co-ordinated extravaganza of 1,200 water fountains arcing 200ft in the air to music) and then head to see Cirque du Soleil’s O Show – an festival of acrobats, synchronised swimmers and divers performing above, in and under the water. 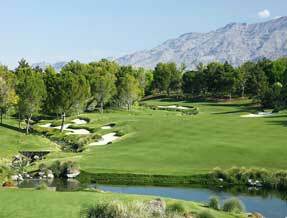 Play 18 holes at the world-famous Shadow Creek golf course to take a break from the bright lights of sin city.